Summary: Today’s post shows how the climate wars about the public policy response to global warming, grow more interesting as both sides abandon science. Unfortunately the public remains apathetic. For good reason, after a decade of constant barrages of misinformation by Left and Right. Especially considering our history, with so much that we knew eventually proven to be false. The climate wars a powerful example of our broken observation-orientation-decision-action (OODA) loop. Let’s hope that the challenges of the 21st century don’t require America to act in a smart or effective way. May’s temperature shattered the records! Government scientists conspire to fake climate data! (1) May’s temperature shattered the records! “NASA Shows May Global High Temperature Record Shattered as Climate Policy Staggers Forward“, Robert Marston Fanney (fantasy writer; bio here), at his blog RobertScribbler, 18 June 2014. The facts disagree with “shattered”. The datasets differ about the highest May. On the two that show May as a record, the differences are not statistically significant (the opposite of “shattered”). NOAA’s NCDC: the warmest May on record. The anomaly was 0.74°C (1.33°F) higher than the 20th century average, and 0.02°C (0.03°F) higher than May 2010 (the second highest). (2) Government scientists conspire to fake climate data! Accusations about a secret conspiracy by government scientists sweep through the right-wing blogosphere, further eroding their readers’ confidence in the government (they love conspiracy theories). The truth will never catch up with these stories. That’s why propaganda works. “The scandal of fiddled global warming data“, Christopher Booker, The Telegraph, 21 June 2014 — “The US has actually been cooling since the Thirties, the hottest decade on record”. Google shows scores more such stories in the past week. Not one in a thousand of the people reading these imagines the complexity of calculating an average global temperature from the the ever-changing patchwork of surface temperature records. But they’re sure it’s simple, like counting apples. There might be errors in the calculations; for the facts behind this still-moving story see this post. Update: This continues to get better. Belief in a secret conspiracy of government scientists manipulating US climate data to exaggerate global warming might join Benghazi BENGHAZI in the right-wing canon. 1. Did NASA and NOAA dramatically alter US climate history to exaggerate global warming? 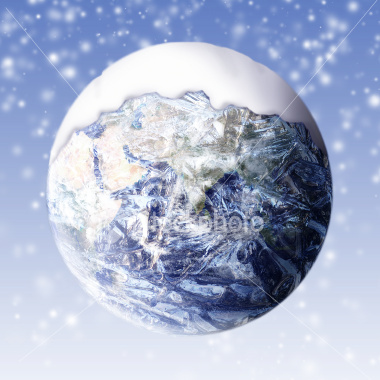 “Scientists and Studies predict ‘imminent global COOLING’ ahead“, Climate Depot, 29 June 2014 – “Drop in global temps ‘almost a slam dunk’.” The article gives a potpourri of references, easy to believe if you reject the consensus of actual climate scientists. Who do they cite? Some scientists with little experience in climate science. Some secondary or tertiary references to the work of Russian scientists (I’ve tried in the past to find English translations of this research, with no success). Some people with no experience in climate science. Solar scientists (much interesting work here; see these posts and links to some research). Articles from the 1970′s about global cooling/warming — Lots of talk in the news media, with quotes for scientists. Not as much supporting research. An important letter sent to the President about the danger of climate change, 21 October 2009 — Scientists concern about global cooling had big results, important to this day. About the headlines from the 1970s about global cooling, 2 November 2009 — Not what they seem. To learn about the consensus of climate scientists see this post (it’s often misstated). To learn about the complexities of consensus client see this post by Judith Curry (Prof, GA Inst Tech). Posts about Information & disinformation, by both the Left and Right. Overwhelming and sad evidence. Posts about our broken Observation-Orientation-Decision-Action (OODA) loop. Previous Post Today we hit five million page views. What’s the result of this project? The government’s credibility issues are of their own making; allowed, of course, by us. I recall standing where the street should have been, trying to remember where I parked my car so I could begin the process of removing it’s complete snow cover – on Halloween, 1991. I recall -70 wind chills in the early 70’s. We lived in NE Wisconsin and used a small wood stove to heat our home. (It wasn’t working very well!) Christ was coming (again). I couldn’t imagine how plagues, pests and locusts could possibly be cause for rejoicing, but we dutifully went to church and received the good news that soon we would all be sick, starving, and rounded up like animals by a government much like the one we see in old news reels from WWII’s Germany. Woo Hoo! Weather and climate are always changing; this we can depend on. We can also depend upon the fact that each generation has a group of megalomaniacal leaders who have been working on, and are hell bent on, achieving global control. In order to see the inner workings of these people citizens would need to read through long documents that make up the framework for the plan: Destination 2025, Agenda 21, Rio Accords…..and heaven forbid that we should read such boring drivel unless it is mandatory. The result of our ignorance and apathy is political ignorance. The price of political ignorance is steep. We are currently being fleeced with another debt/swap scheme like the one which tanked our housing/mortgage sector. This is occurring in the energy sector, where Wall Street and their corporate cronies are creating a massive debt bubble via renewable energy. Debt which cannot by serviced is being moved to the investor side of the ledger. When the bubble grows to the point where it cannot be maintained by the banks, the bubble will burst. Obama promised that our electricity would “necessarily skyrocket” under his Administration. The public has called for the ruse that wind and solar can and will provide “free”, “clean” and “abundant” electricity. This is a lie easily seen if one simply reads the boring information – which few take the time to do. Documents on the MN Public Utilities Docket state, in black and white, that wind energy systems are Permitted based on politics and reality = perceptions….and still people cling to the false hope that a wind turbine will save them from the scary global climate change monster. It is beyond disappointing to see how dumb we have become in an age when we have abundant information at our fingertips. I fear you are beyond help, immersed in right-wing propaganda, but I’ll briefly try. Do you believe that climate scientists disagree? Of course not. Why is this relevant? Here’s the FAA brochure. The Executive Summary describes it. It’s the sort of thing the FAA is supposed to be doing. The Destination 2025 vision captures the ideal future we strive toward – a transformation of the Nation’s aviation system in which air traffic will move safely, swiftly, efficiently, and seamlessly around the globe. Flights will take off and land on time, every time, without delay and there will be no fatal accidents. Air travel will be routine and uneventful for everyone involved: passengers, crews, ground support, and communities. Costs will be contained for both operators and passengers, and there will be no negative impact to the environment. Manned and unmanned flights will each achieve safe flight, as will commercial launches to space. This is a vision that captures the future we will strive to achieve – to transform the Nation’s aviation system by 2025. Why does this support your case? You can disagree with Obama’s policy, but he forthrightly stated his intention early in the 2008 campaign — including the cost and the reasons he believes that’s necessary. We call this democracy. See the quote, and descriptions of what “skyrocketing” mean in dollars, in this article. Please provide a link to a government source saying wind and solar are “free”. They are clean and abundant; solar is rapidly getting cheaper; but they are not free. I doubt any government expert said otherwise. Thank you for your efforts at “saving” me. I will start here by saying I don’t listen to or have much tolerance for extremists on either side of the political aisle. Corruption, manipulation, rigging of elections/outcomes, propaganda, etc. etc. do not happen in a right-wing vacuum, but are rampant on both sides of the political aisle. Article 26 of the Nixon impeachment papers is instructive in that both Nixon and D-MN powerhouse Hubert Humphrey took $250,000.00 bribes from AMPI. Humphrey’s diagnosis of aggressive and terminal cancer saved him from indictment and prosecution. Why buy one side of the political aisle when you can buy both? This is not the first report, as the agenda has been growing and going through various phases for nearly three decades. When it was first released it was announced that we are in the implementation phase. It covers energy, social engineering, corridors for trade that include the creation of inland ports (which operate under different laws, rules and regulations), biotechnology, soil and water control, etc. etc. On the one hand I appreciate that our leaders are attempting to make long-range plans to secure the future, but the level of control necessary to secure the future they (whoever “they” are) envision is troublesome as attempts at the creation of utopia have historically led to mass suffering and war. WWII, a plan for global governance and the creation of utopia is a great example of how these things tend to go awry. Hitler wasn’t simply marching along exterminating Jews and Catholics, his goal was to create utopia. He expressed those wishes quite clearly in Mein Kempf – which most people have never read. Here is D2025 for civil engineers, the plan to get us to “social equity”: http://www.docstoc.com/docs/34269090/Destination-2025, among other things. Again, I commend them for trying, but this sort of thing only works if people do not act like people, and if leaders do not tip the scale from simply being narcissists to out-right sociopath’s. Yes, some of the costs associated with solar have come down, but not enough to make it anywhere near the cost per actual MW produced by gas, coal, hydro or nuclear power. (I am digging for the link to our Secretary of Energy’s interview, wherein he stated that wind energy is “free”. ) This is a common refrain from developers, but to hear it and see it come off of the lips of a high-ranking government official was troublesome. The other thing you hear and see most frequently is the claim that renewables will end our dependence upon foreign oil. The notion that electricity produced by wind will do much of anything to reduce our dependence upon foreign oil would only be true if we produced more than 1% of our electricity from oil, which we do not. A meeting with FBI agents who wanted a peek at documents citizens had accessed on a particular wind farm was enlightening: they don’t need to generate any electricity to get our money. This was but one stunner tossed out on the table to us while we walked the Special Agents through the information they asked us to bring. President Obama is so illiterate on the topic of electrical generation that he stood in a turbine manufacturing plant in Ohio and gushed about the wind power stored for future use. I’m not sure which planet he was on but it was not earth. I am pleased that the President was so forthright in his plans regarding cap and trade, the necessity of skyrocketing electrical prices, etc. etc. etc. It’s much easier to follow the money trails to find the corruption, personal agenda’s, and favor’s for friends when our politicians don’t try to hide it. Of course, it would appear that the days of them needing to make any effort at hiding their lies and bad behavior are far behind them, as evidenced by our inability to hold Bush or Bush light and criminals on their staff or James Clapper, Lois Lerner and any number of other disreputable liars and political shills responsible accountable for any of their bad behavior. I think America is a great country that has been manipulated onto a road to hell. Niether party is to blame as they have both participated in the grand lies and schemes that laid the groundwork for the “implementation phase” of our march toward the next utopia. I cannot help but wonder if climate change is the vehicle they are going to use to get us there. Time will tell. That’s quite a rant, mixing all sorts of unrelated things together. I will make just one comment: developers of new tech, and their supporters, always oversell. It’s life, and does not warrant your conspiratorial wraith. There are ample realistic sources of information about actual costs and potential of renewables — quite a big reported here (see the peak oil and energy reference pages on the right side menu). Experts such as Robert Hirsch. Utilities and their assn. The National Renewable Energy Labs. It’s not as if the boosters have no counter-balance. More broadly, almost everything is oversold. Dams, airports, canals, railroads- while these usually prove to be worthwhile, they seldom hit the lofty promises of their backers. I think you need to find more accurate information sources, to break out of the closed loop you are obviously in. My guess is that you will not. Which is sad, but not fixable by any outside entity. When people make factual rebuttals, responses like yours validate the criticism. Your inability to reply except by gibberish tells us all we need to know. Mary, nobody who knows anything about the energy industry would ever try to make the claim that reducing our dependence on foreign oil has anything to do with electricity…in large part because most of the electricity in this country is generated by coal and natural gas, not oil. Two of the most significant reasons why people want to reduce our dependence on foreign oil and find other solutions — that is, above and beyond the issue of our interference in the affairs of other countries and the massive costs which this often necessitates — focus on agriculture and the multitude of products which include petroleum as an ingredient (and this is before you include all the petroleum used to ship products from place to place). Petroleum is involved in just about every step of our agricultural process — preparing the soil, seeding, fertilization, watering, pest control, harvesting, packaging, and transportation — since the bulk of our agriculture takes place on large farms where mechanization is a must. Also, petroleum is a major ingredient in so many household products that if you were to throw out everything in your house which includes it, you actually wouldn’t have nearly as much left as you think — for one thing, you’d probably have to throw out just about anything which contains (or is contained in) any sort of plastic. It seems sensible to presume that one of the major reasons why tax subsidies are so much higher (at least at present) for wind and solar than oil and gas is because the technology and the infrastructure for utilizing wind and solar is not as well-established as that for oil and gas. Technological and infrastructural improvements are, of course, still being made in the oil and gas industries but the basic underlying structure and process has been in existence for a long time and actually hasn’t changed very much in that time — drilling and pumping is still the only way to get at the fuel. By contrast, the infrastructure for wind and solar is nowhere nearly as widespread as that for oil and gas and parts of the underlying structure and process — such as how to store the energy generated — are still being worked out. One of the challenges of the internet (and technology in general, it seems) these days is that it enables half-truths or outright lies to be spread just as easily if not more so than facts and knowledge — in part because it’s easier to either believe or reject than question and investigate, and the actions of the American public suggest that they prefer to take the path of least resistance whenever possible. As I said in response to a post a couple of days ago, a growing number of Americans seem to think that anything which you have to wait or work for is just too much trouble. I remember watching a panel of science fiction writers several years ago which included Harlan Ellison — and even though Ellison is well-known for being cynical and something of a misanthropic curmudgeon, I’m convinced that he was right to compare the internet to a back fence over which housewives exchange gossip. Even though I’m only in my 40’s, I can remember a time not so long ago when a writer of fantasy novels who tried to position himself as any kind of knowledgeable resource on anything outside of writing would not have remotely been taken seriously — he would have been dismissed as a charlatan or else pitied (or laughed at) as someone who was only embarrassing himself. Nowadays, however, just about anyone can create a blog on the internet and promote the most outrageous kind of half-baked nonsense — whether out of misguided conclusions or out of the twisted desire to stir the pot and rattle people’s chains — and a certain percentage of people will be credulous enough to believe it even though this person has none of the credentials (journalistic or otherwise) to suggest that they have the slightest clue what they’re talking about and in many cases make little or no effort to provide reliable evidence in support of their claims. You’ve just made an illogical statement. My response to you doesn’t validate anything. It surely doesn’t negate what Mary said… that’s your ego talking. Whether or not you acknowledge that some people throughout history have wanted to rule the world and have set about to those ends is irrelevant. It has been tried, is being tried and will be tried perhaps in the future. If there were never such things as conspiracies we wouldn’t have a word nor laws for such. The unwillingness of some to see them as a potential is short-sighted. It shows the cognitive issues I spoke about earlier. You think that you’re being uber logical but its just mental masturbation on your part. Your inability to provide supporting logic or evidence is significant. As does your recourse to insults. I respond to most comments, gibberish or brilliance. It’s SOP here. Thanks for making my point. I was here to give an opinion based on an observation. You stated that my doing so validated your side but I never gave anything that I was trying to pass off as supportive evidence so how could it possibly validate anything when it wasn’t meant so? Why because you didn’t like my observation about you and your blog? I have to ask as well.. If you’ve had such a large amount of views in 7 years, where is everyone? Long weekend perhaps? Out squashing those ebil conservatives no doubt! You know… those that lie to US more. Sheesh you’re so obvious while trying your damndest to not seem so. Good luck with that but I think you’re losing the liberal game worldwide. Again just an opinion. Do I need links for that? Anyway Happy Independence from a Socialist-fascist day. I’m uncertain what you are attempting to say, as that seems more like a rant. However you give some specific points. 95 thousand hits in May, 86 thousand in June. Five million since starting in November 2007. READING FAIL. That you reply with insults shows your inability to provide substantive rebuttal, using logic or facts. As I said before. Isn’t this clear? Also, it’s a sign of our neutrality that right-wingers complain that the FM website is leftist — and left extremists call us right-wingers. It also shows the blink tribalism of both political extremes in America today. For a few examples see the Politics of the FM website page. There are fallacies in your last comment. Again you see validation in things where there is no real proof of any. Its just your desire to see it that way. Only in the sense that you disagree with both on particular issues but it says nothing of your personal political neutrality which as I’ve stated isn’t neutral from what I’ve seen. It appears maybe that I was correct on the liberal thing. I mean someone that was “neutral” probably would’ve voted either way last election nor would he have made a comment such as below. Neoliberalism corparitism IS a form of fascism. But you knew that huh. than between good and better. I suspect we will follow. Eagerly. Oh, nevermind, I see why you come off as “bashing” but still have the lust for government. Most of your authors have a long history of it. Nothing neutral about that. Oh, one more “observation” then I’m outta this joint. I suppose if you mean the site allows differing views but all of the writers have the same backgrounds almost lol.